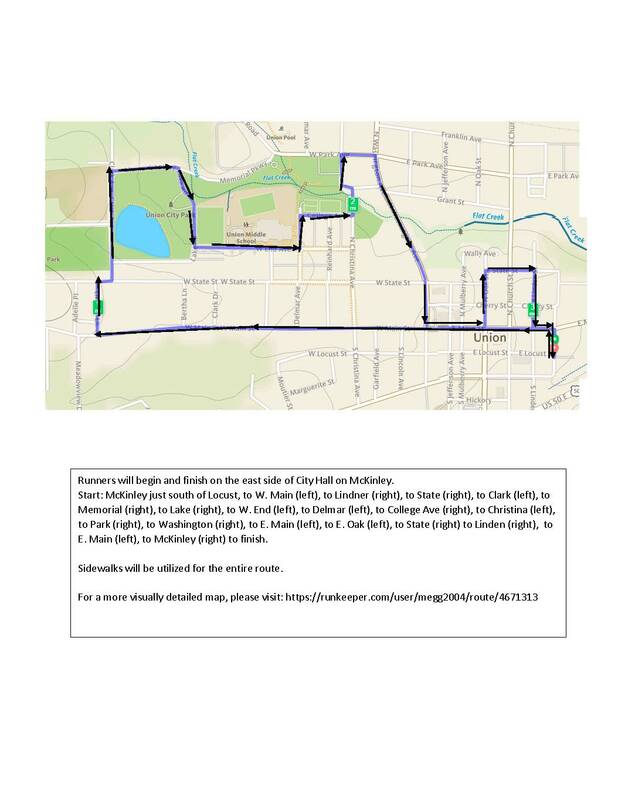 The Union Area Chamber of Commerce is hosting a 5k run to benefit the Union Booster Club. 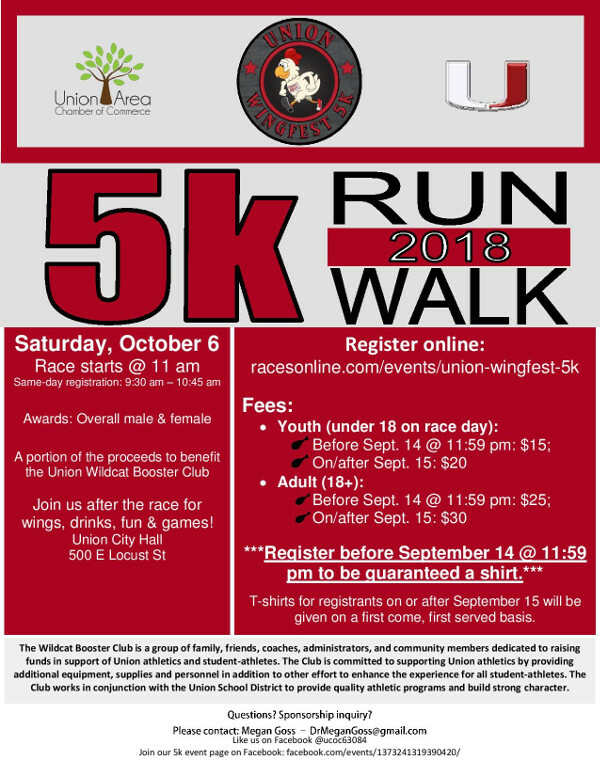 The Wildcat Booster Club is a group of family, friends, coaches, administrators and community members dedicated to raising funds in support of Union athletics and student-athletes. The Club is committed to supporting Union athletics by providing additional equipment, supplies and personnel in addition to other effort to enhance the experience for all student-athletes. The Club works in conjunction with the Union School District to provide quality athletic programs and build strong character. Complete Chiropractic of Union, 37 St Andrews Drive, Union, MO 63084. 500 E. Locust Street. Paper registrations will be accepted at packet pickup. Hang around after the awards and head over to Wingfest for food, fun, and games!